Posted on September 23, 2017 by Tish Farrell	This entry was posted in Gardens and tagged #6WS, #SixWordSaturday, September allotment, Tish Farrell Writer. Bookmark the permalink. Great photos, Trish, don’t stay away too long! Thanks, Trev. I shall return, though maybe without the swashbuckle of Zorro. Cosmos it is. I’ve got clouds of it. I wish it self seeded as yours does. Think it’s too cold and damp for the seeds to survive the winter here. Beautiful indeed. Please don’t stay away too long! This has been a very warm September. Everywhere, I am noticing. I’m trying not to get panicky about it, but it is worrying. Have fun, whatever you are doing! 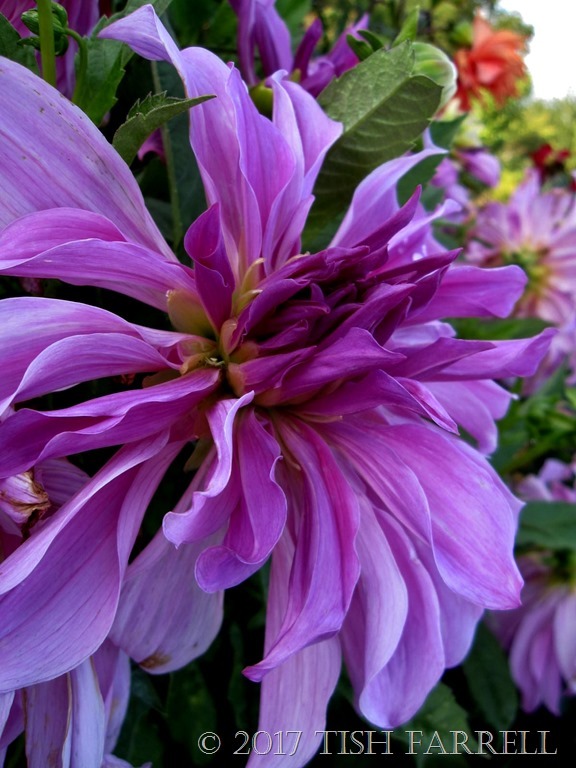 It’s been a great summer for dahlia flowers! Tish, thank you so much for the blessed gift of beauty. Have a wonderful break and we’ll be ready when you get back. Thank you, Janet, for being such an appreciative recipient. Lovely to come back to your kind thoughts. 🙂 I did, bless you. You too! We’re all heading off somewhere. What a lovely last-post-for-now. I hope the break is for pure pleasure. That last photo is hard to beat. Trust you to exit with a photographic fanfare – although you’d be hard put not to with any last photo. Gorgeous blooms with deep, rich colours. Some are still going too! 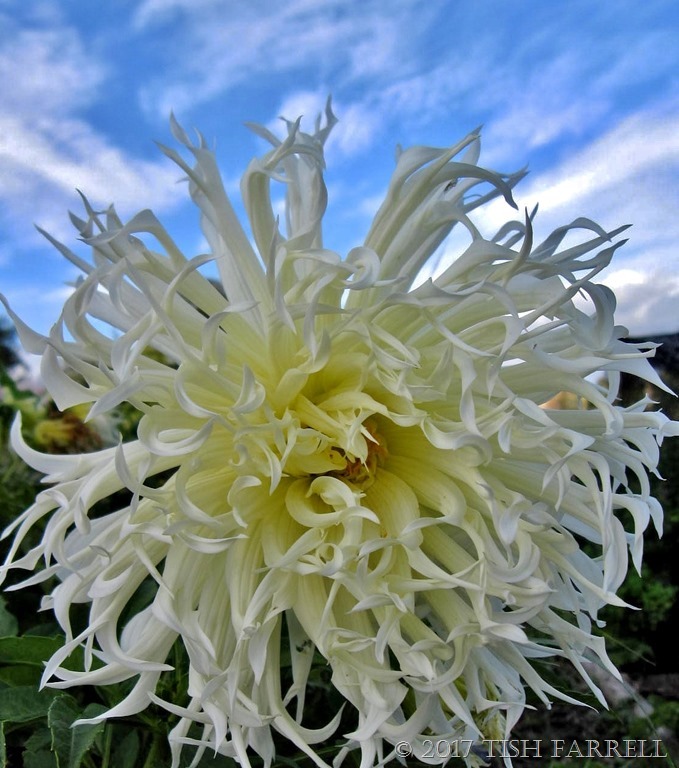 I’ve come to love dahlias too, but only recently. So many amazing varieties these days, and ones you don’t need to stake. 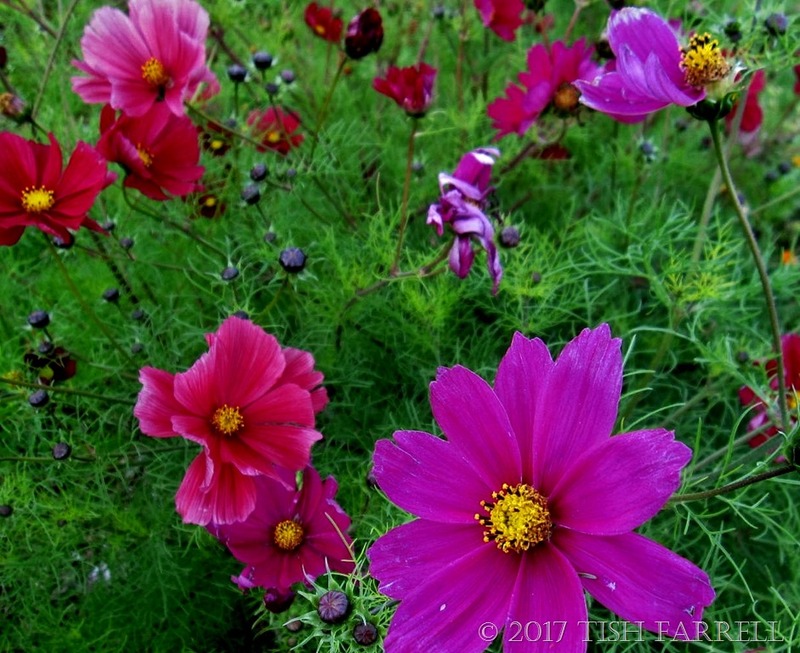 The cosmos is still flowering – but only just.